I want to expand that thought a little. Dr. Martin Luther King Jr. and the other freedom fighters of the 50’s and 60’s changed America. But it’s even closer to home for me. Dr. King’s life and words resonate with our family, because his ideology simply reiterates what Scripture has been telling us for thousands of years. The equality of all races is not a politically correct trend. It is a basic human issue. It is a spiritual value. 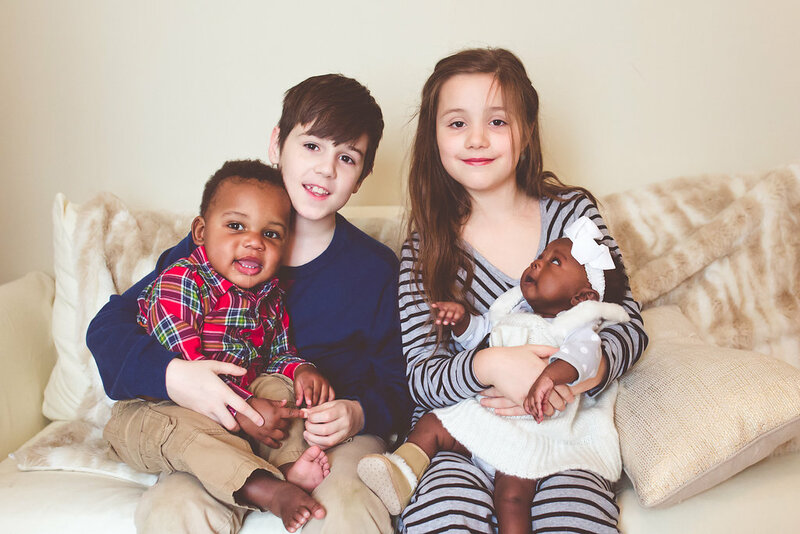 For our family, transracial adoption is a way we are able to tangibly live Dr. King’s dream of walking the earth as brothers. Can I be blunt? We have no desire to whitewash our Black kids. We don’t want to save them from Blackness. They do not need to be rescued by a white family. That type of ignorance makes me sick to my stomach. Instead, we are honored to have our children’s heritage mingled with our own. Our ideals are reshaped as we welcome their culture into our family landscape. They don’t conform to us. We all conform to each other. Isn’t that what true brotherhood is about? On this Martin Luther King Day, I am grateful for the legacy and sacrifice of Dr. King. I’m grateful for the words he put around an uncompromisable value. I’m grateful that he helped lead the fight for brotherhood in America. And my heart is full with the brotherhood that we can live in our own home. I don’t believe the fight is over, but I’m glad someone was brave enough to help it begin. Thank you so much for that. Hope you don’t mind me re-posting it on my facebook!